In many traditions of Wicca, as well as some other Pagan religions, one's studies are marked by Degrees. A Degree shows that the student has spent time learning, studying and practicing. It's a common misconception that attaining a degree is an end goal, but in fact, most high priestesses (HPS) will tell their initiates that being granted a Degree is just the beginning of a new and empowering process. In many covens, it is traditional for a new initiate to wait a year and a day before they can be granted their First Degree ranking. During this time, the initiate studies and typically follows a lesson plan designated by the coven's High Priestess or High Priest. Such a lesson plan might include books to read, written assignments to turn in, public activities, demonstration of skills or knowledge obtained, etc. A Second-Degree initiate is someone who has shown that they have advanced beyond the basics of First Degree. They are often tasked with assisting the HP or HPS, leading rituals, teaching classes, etc. Sometimes they may even act as mentors to new initiates. 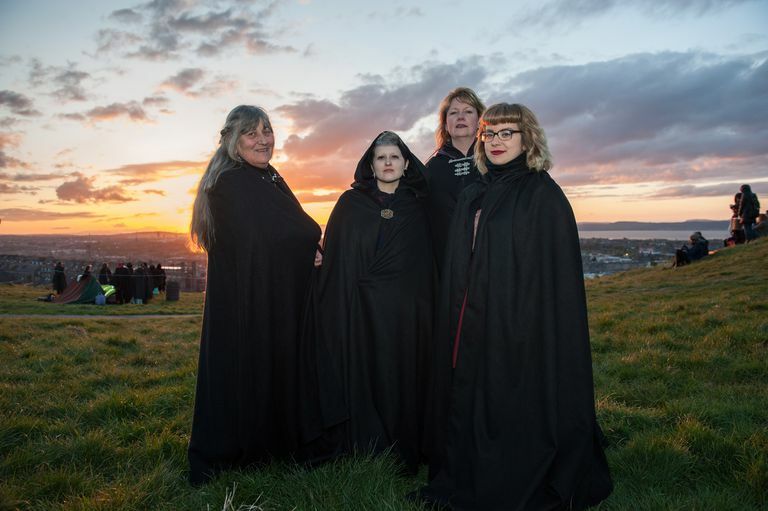 There may be a lesson plan specified for obtaining the Second Degree, or it may be a self-study course; this will depend on the individual tradition of Wicca. By the time someone has gained the knowledge necessary to get their Third Degree, they should be comfortable in a leadership role. Although this doesn’t necessarily mean they have to go off and run their own coven, it does mean they should be able to fill in for the HPS when needed, lead classes unsupervised, answer questions that new initiates might have, and so on. In some traditions, only a Third Degree member can know the True Names of the gods or of the High Priestess and High Priest. A Third Degree may, if they choose, hive off and form their own coven if their tradition allows it. A few traditions have Fourth Degrees, but that is fairly atypical; most end with three. As mentioned previously, a Degree initiation is seen as a new beginning, rather than the end of something. A Degree initiation ceremony is a powerful and moving experience, and something that is not to be done lightly. Many traditions require that a Degree candidate ask to be evaluated and deemed worthy before he or she is accepted for initiation into the next Degree. Patheos blogger Sable Aradia says, "Initiation represents recognition of a certain level of mystical understanding. Part of its purpose is recognition, but it is generally not given until the community already treats you as if you were of the relevant degree and is honestly surprised when they learn you are not. Partly separates one stage of the initiate’s life from the next stage. In some traditions, it also links you to the lineage of those who have come before you, and it teaches something in a living, breathing way that ideally, transforms the initiate and improves him or her as a person and a Witch." She adds, "It’s not a Pagan “merit badge” system." Each tradition sets its own standards for Degree requirements. While you might be a Third Degree initiate of one group, that may not carry over into a new group. In fact, in many cases, all new initiates must begin as Neophytes and earn their First Degree before progressing, no matter how long they have been studying or practicing. So You're Wiccan, Do You Have to Say Blessed Be?